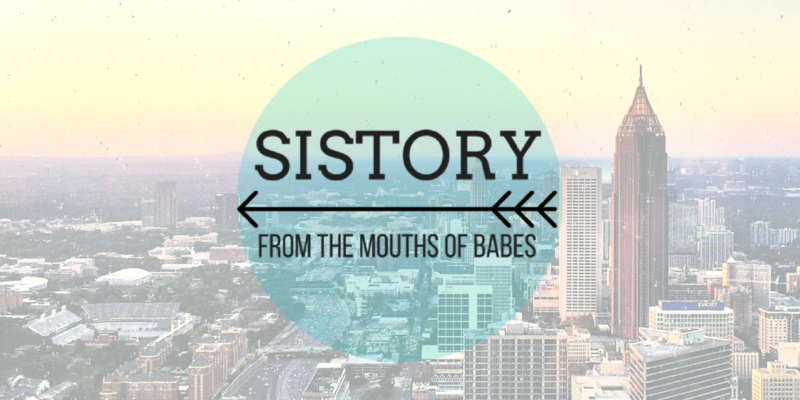 If your knowledge of Captain John Smith starts and ends with Disney’s Pocahontas, you’re not going to love this post. Because as much recent (asterisked) credit as Disney deserves for creating racially diverse princesses that don’t need no man, the company’s re-writing of Native American history in this movie is a real doozy. In the movie, Smith settles in Jamestown, Virginia and wins the affections of Pocahontas, a young Native American princess. Together, they save the colony and unite the English and the Native Americans. …or be in the early American wilderness on the wrong side of your extremely powerful family. But in reality, none of that happy Disney story was true, and John Smith was literally the woooorrrstttt. Pocahontas was about 10 or 11 when she first met Smith, after he was captured by Algonquin hunters and brought to her father’s house. The chief set Smith free, rather than killing him, likely because they worked out some kind of political deal. But ten years later, Smith decided to embellish that story a little, claiming in a letter to Queen Anne that Pocahontas had thrown herself atop his body in an act of passionate love to stop her father from murdering Smith, risking her life to save his. Now, I’ll be the first to admit, it’s easy to be a little over-the-top in the retelling of romantic conquests. But this wasn’t just a slight exaggeration on Smith’s part. It was a brutal lie that denied the cruelty Pocahontas faced at the hands of the settlers. Smith didn’t court or marry Pocahontas; instead, she was held hostage at the Jamestown settlement for over a year, after helping the English feed their faces/stay alive all winter (“this is the thanks I get?”). As the only means of escaping her enslavement, she was forced to marry John Rolfe, eleven years her senior, and change her name to Rebecca. She was then trotted around Virginia and England as great evidence of colonialism working perfectly! …and then she died at age 21 via mysterious illness while in England and never made it back to the USA. Where was Smith for all of this? Some girl allegedly saves your life and you can’t be bothered to tell your goons to, you know, not imprison her? Smith was kicking it in England, a cool 4,000 miles from Jamestown, which was currently enjoying a period of time known as “The Starving Time” (fun!) Smith obviously didn’t want to be a part of all that, plus, he had been forced to step down as the leader of the colony because of his poor conduct in a little gunpowder spat that caused him injury. So he was flying under the radar in England, waiting out the criticism and nursing his wounds. Pocahontas, however, had been led to believe he was dead. So imagine the scene when she ran into him in England on her trip there. Reports say that she ran away as soon as she saw him, shocked that he had essentially abandoned her and the colony. QUIZ! 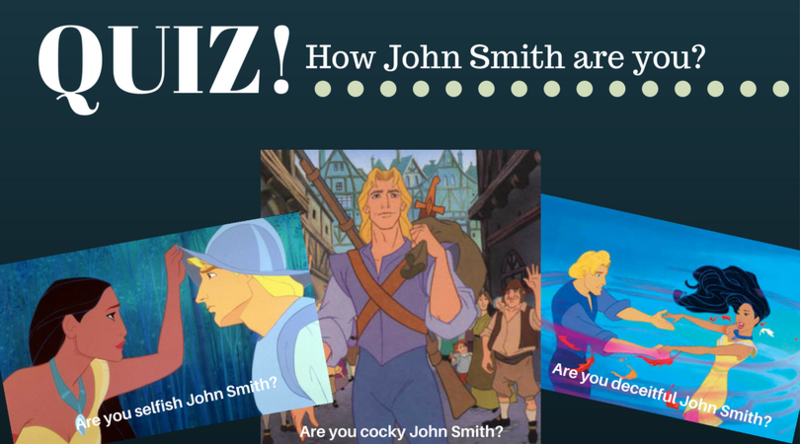 How John Smith Are You? Did you weasel your way into being part of the governing group for the Jamestown settlement, only to be accused of mutiny on the ship on the way over and almost hanged for it? a) No, I would certainly try to make nice with the dozen people that I will be attempting to start the New World with, and not attempt a coup. b) Heck yes! Screw you guys. All the power is mine! b) Throw you in jail, because even though you survived, the men you were traveling with and responsible for did not. Also, there is a fear that you will make a desperate lunge for control of the colony. a) Accidents happen! It’s 1609 and we don’t have great fire safety rules yet. No offense taken, as there was no ill intent. b) Your companions hate you and are trying to kill you on purpose, both for themselves and on instruction from England. a) Thank you so much for the offer!!! Just what we’ve been looking for. Surely a person so generous will have an equally pleasant personality. b) Ummmm thanks! Is there any way you can like, just send the map? If not, no worries! We are all set! Absolutely under no circumstances should you come here! If you answered “b” to the questions above… you’re 100% Captain John Smith! By the way, the real Captain John Smith had neither a chiseled jaw nor waves of beautiful blonde hair, so thanks a lot Disney. Hard to imagine a teenage girl throwing herself at this.